Since the release of their long sold out debut, WEDGE are definitely an integral part of the European Rock scene. Over a short time the group managed to establish a steadily growing fan base by playing nearly up to 200 shows since 2014 in numerous countries such as Spain, Italy, Portugal, France, Holland, Norway, Denmark, Austria, Switzerland, Luxembourg, Poland, Czech Republic, Belgium, England, Greece, Israel and of course Germany. This includes famous festivals such as Bukta Open Air, Desert Fest, Stoned from the Underground, etc., and support gigs for bands such as Fu Manchu (US), Blues Pills (SE), Orchid (US), The Flying Eyes (US), Lucifer (UK), Pontiac (US), Simo (US), to name but a few. WEDGE was born into the spotlight in 2014. 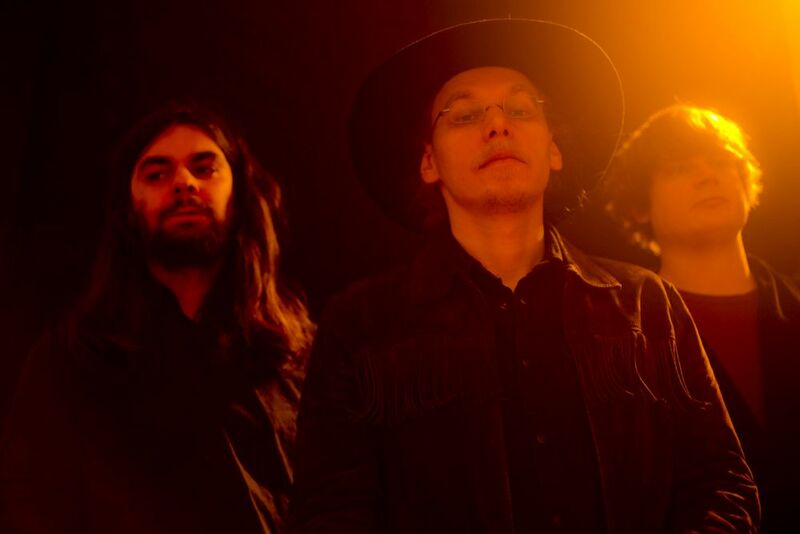 The trio was founded in Berlin by guitarist/singer Kiryk Drewinski (ex-Liquid Visions & ex-The Magnificent Brotherhood), drummer Holger “The Holg” Grosser & bassist/organist Dave Götz and named itself after the first stone tool of human history. Their sound is accordingly archaic, extremely effective, „made from solid rock“ and, when used correctly, causes fire … especially live! WEDGE blends mainly elements of classic rock, 60s garage and some Psychedelic with a proper dose of joy while playing. Even before the band decided on a name, their first studio album was recorded (originally planned to be a demo) and released on the Italian label „Heavy Psych Sounds“ in November 2014. The LP was already sold out after a short time and was very popular among the dancers, as well as the writers. Thus, the three multi-instrumentalists are frequently credited with refreshingly catchy song writing, which outshines their peers of similar genre. This also gave WEDGE some radio airplay early on. One of the group’s greatest strengths, however, is experienced live. WEDGE on tour across Europe with The Golden Grass!